The government has constituted a committee under the leadership of NITI Aayog CEO Amitab Kant to enable full conversion of Government- Citizen transactions to the digital platform. The panel will try to enable digital payment options across all sectors. The government has launched a new campaign to open bank accounts of workers both in organized and unorganized sectors. This has been established by the Labour ministry along with Department of Financial Services and Ministry of Finance. A Deutsche Bank report has stated that India’s real GDP growth is expected to slow to 5% in the current fiscal because of demonetization. Indian government has launched an AirSewa portal and mobile app to offer passengers a portal to check flight status, schedule and grievances. The TATA Steel board has voted to replace Cyrus Mistry as the chairman of the company and has named SBI veteran OP Bhatt as the interim chairman. South Indian Bank has announced the launch of its contactless debit card through Near field Communication. Harjeet Singh is going to be the captain of the Indian Men’s hockey team in the Junior world cup to be held in Lucknow. George Yeo, Former Singapore Foreign Minister resigned as Chancellor of Nalanda University. Nalanda University is located in Rajgir, Bihar. Scientists from Brno University of Technology in Czech Republic have developed a model of a functioning human lung using 3D printing. It has gotten 3 patents for its modeling. Ivan Mikoyan, designer of the famous MiG-29 fighter jet passed away. His designs led him to receive the USSR state prize state honour. The Colombian government and the largest rebel group of the country, the Farc have a signed a revised peace deal after the previous one was rejected by the population. The deal aims at ending 5 decades of armed conflict. Former President of Cuba, Fidel Castro passed away. 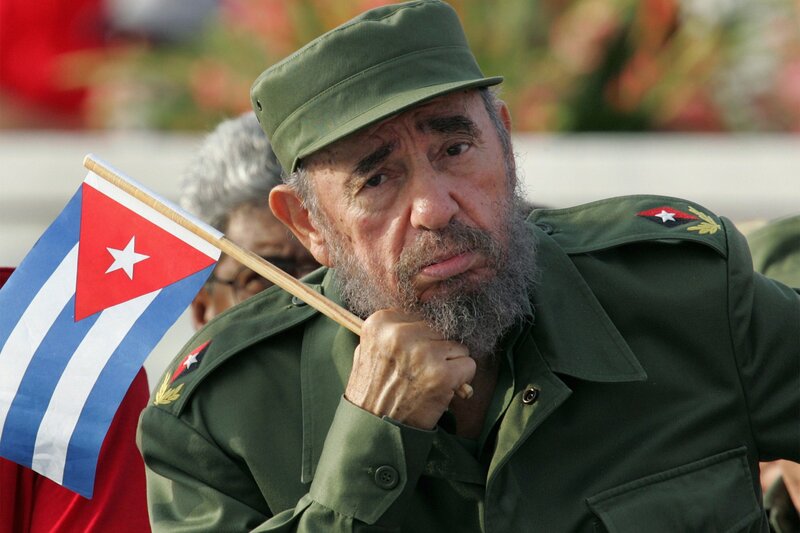 He ruled Cuba as a one-party state for almost 5 decades before handing over power to his brother Raul in 2008. 26th November is being observed as Constitution Day of India to spread awareness about the Constitution and B. R. Ambedkar. On this day in 1949, the constitution was adopted. 1. What is the name of the rebel group in Colombia with which the government has signed a second peace deal? 2. What is the name of Fidel Castro’s brother and the current president of Cuba? 3. Who resigned as Chancellor of Nalanda University? 4. What is the world ranking of PV Sindhu? 5. What is India’s expected real GDP growth in this fiscal according to Deutsche Bank? 6. Who has been named as the interim chairman of TATA Steel after replacing Cyrus Mistry? 7. Which bank has announced the launch of its contactless debit card? Thank you. Please upload the daily briefs of Last 4 days of November.